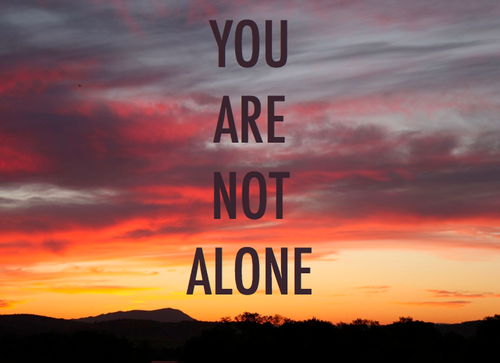 You are not alone, says the LORD. I AM with you always. I did not leave you to face your difficulties all alone. Though many have forsaken you and turned their backs on you in the times when you were looking for help, I have not abandoned you. I Am your friend that sticks closer to you than a brother, a mother or a father. I will never fail you. I will never shut My ears to your cry. I hear. I know. I understand. There is never a time when I will fail to be your compassionate and faithful friend, says the LORD. Your help is in Me and your hope is not in vain, says the LORD. You will not have to face the claws of the bear and the teeth of the lion without ME rescuing you. I Am your GOOD SHEPHERD, and I will defend you. I will protect you. I will feed you and clothe you. I Am a shelter for you. The enemies that desire to destroy you will fall and fail and I will bring you into the safety of My pavilion and shelter you in the time of storms. You will not need to fear the troubles on every side, but will know that I Am on your side to bring you out of them. You will not be weakened, but strengthened and the weapons of the enemy will be destroyed and you will be strengthened and built, says the LORD. Amen be it as you say..